I like superfood! 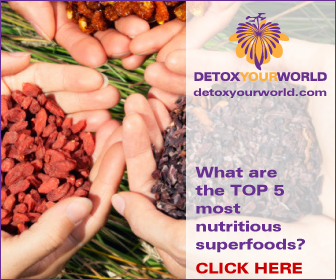 It’s not just the name, it’s the fact that superfood is rammed with good guys – phytochemicals, probiotics and so much more! This simple home made recipe is inspired by Rich Roll, whose superfood recommendations I take seriously. Well not too seriously but I do want to incorporate these into my daily eating. This bloke is an Ultra Running phenomenon – he managed to complete 5 Ironman-distance triathlons on 5 separate Hawaiian Islands in less than a single week! Of course, that’s way more than just running but it’s mighty impressive. Tumeric, a superfood? Are you sure? The majority of foods we eat, including low fat diets, promote arterial inflammation, which is a leading (and often underrated) cause of heart disease. In the fitness context, exercise-induced physiological stress causes inflammation, which impedes muscular repair. In a general sense, the more quickly the inflammation subsides, the more quickly one recovers from training. Foods like turmeric reduce inflammation, thus expediting recovery (and circulatory health). Extrapolated over time, an athlete on a nutritional regimen high in anti-oxidants and anti-inflammatory foods such as turmeric (buttressed by a predominantly alkaline-forming diet) will in turn be able to train harder, more effectively and more efficiently in a given time period while simultaneously taking out an insurance policy against the primary culprits that foil even the most conscientious athletes — undue fatigue, overtraining and illness. Furthermore, it’s worth noting that there is some evidence to suggest that people who eat diets rich in turmeric have lower rates of breast, prostate, lung, colon and skin cancers. [/quote] Later in the article he suggests eating sprouted mung beans in a turmeric based broth and that’s what I did, essentially. However, I used the sports sprouting mix from Indigo which I like instead of just mung beans – there’s also radish and something else in the mix. You can read more about how Rich Roll is helping me prepare for the Brum Half Marathon via his inspirational book and if you like you can sponsor me too – all money going to ASIRT. Previous PostASIRT (Asylum Support and Immigration Resource Team) Charity AppealNext PostSo what’s up with the Paleo diet? The whole premise is seriously flawed!